Wife is called the better half as she shares the load of responsibilities in the married life with a big smile on her face. The beloved wife deserves some pampering on the occasion of her birthday. 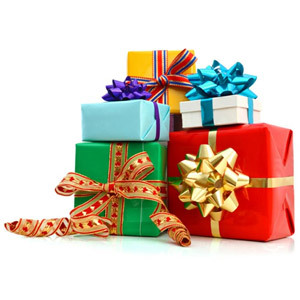 The loving husbands can choose most exciting birthday gifts from the online gifts shopping portals. The online stores offer birthday surprises for the wife from different categories of gifts available in the product catalog. This is among the most meaningful birthday gifts for wife available online. This cuff band made of 18k gold would add glory to the appearance of the recipient wife. The message engraved on the cuff band that reads: “CHOOSE JOY” would be the perfect motivation to stay calm and joyous irrespective of the pressures and expectations in the personal and professional life as well. Thus, this gift would inspire the recipient wife to cheer up in every kind of situation. This is one of the most beautiful personalized gifts for her that she would love to be gifted with. The necklace would have the heart shaped pendant on which the presenting husband’s name and the recipient wife’s name would be added beautifully in a stylish font along the outline of the heart shape. Thus the pendant would portray the emotional unity of the real life couple in the most marvelous way. This is one of the most fantastic fashion gifts for women that carries her own photograph on it. This beautiful heart shaped keychain made of best quality stainless steel would be the best mode to keep all the important keys together. The recipient wife would love to use this in her routine as her own photograph in heart shape would create a great identification mark for the keys. Similarly, this beautiful keychain would make her remember the beloved husband that presents this keychain on her birthday. This gift idea would surely create lasting positive impression in the mind of the recipient wife as it carries her photograph in the most gorgeous manner. The husband needs to upload the desired smiling snap of the beloved wife while placing online order for this keepsake. The photograph would be engraved on the best quality wooden slate using the latest digital engraving technology. The beauty of a wooden plaque produces antique look. This is a beautiful birthday gift combination that the recipient wife would surely appreciate. The ceramic coffee mug of 300 ml capacity would be printed with colorful images and text in the birthday celebration theme. This mug would carry handmade chocolates in heart shape with red glossy foils mounted on the sticks just like lollypops. The red color and the heart shape reflect love and romance. So, these chocolates would convey the innermost feelings in the most delicious way. The hubbies trying to create the romantic impression through a birthday gift for the beloved wife can visit Giftcart.com for fabulous gift ideas. 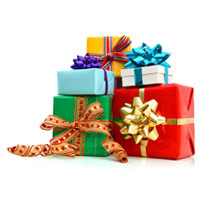 Giftcart.com offers most appropriate gifts filterable as per occasion and recipient as well.